With wedding season in full swing, a lot of your clients might be starting to worry about how they’ll look on the day, and in photos, whether they’re a guest, bridesmaid or even a bride. At weddings, people are spending time with friends and family members they don’t see very often so they’ll want to look their best! Luckily with SkinBase Microdermabrasion you can offer a treatment that will quickly and effectively target a wide variety of skin concerns, often with immediate results and no recovery period afterwards. Microdermabrasion will help your client to feel more confident in themselves, to relax and enjoy every wedding they go to this year. Take a look at these ideas to inspire clients to book in, and keep them coming back. Most people feel like their skin could do with a ‘boost’ when they have a big event coming up, whether they have skin concerns or not. MD is perfect for this because it stimulates the circulation, removes dull, dead skin, and helps to remove areas of pigmentation for a fresh, bright complexion. 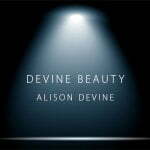 MD also helps the skin to look fantastic under makeup – without dead skin to cling to, your client’s makeup will last longer and look better all the way through the wedding, from morning to night. No one wants to turn up to a wedding with teenage skin, especially if they aren’t a teenager anymore! 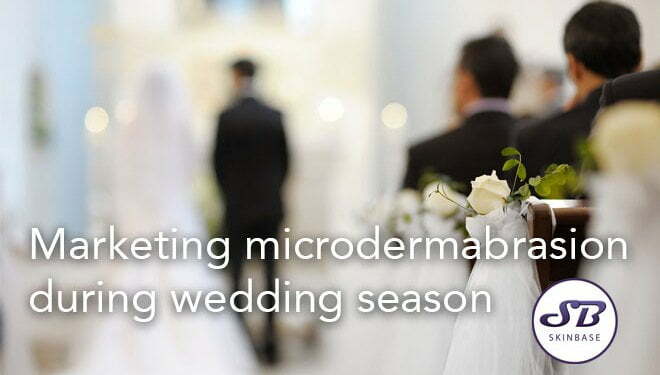 Microdermabrasion will help their skin to heal, become more evenly textured, and eliminate blocked pores to make sure fewer spots appear in the run up to the wedding. An issue that many women are self conscious about, microdermabrasion can help to reduce those little red bumps on the back of the arms, allowing your client to enjoy wearing their dress (whether she’s a Bride, Bridesmaid, Mother of the Bride, or just a wedding guest!) without worrying that their arms are drawing unwanted attention. The prospect of seeing people you haven’t seen in a long while can make clients worry a lot about how they’ve aged! Microdermabrasion will help to reduce fine lines and wrinkles, as well as firming the skin for a fresher, more youthful complexion. Not all your clients will have specific skin concerns to treat, but everyone wants to look their best at a wedding. Why not suggest a manicure or pedicure using Microdermabrasion? An MD manicure is perfect for a bride to be who’s going to have close up photos of her rings – if you have gift vouchers this could be a lovely bridal shower gift! As for MD pedicures – what guest, bridesmaid or bride wouldn’t want to have their feet looking gorgeously soft and smooth? Inspire your clients with these different ideas for ways they could prepare for a wedding. Whether it’s the smoothest feet they’ve ever had with a microdermabrasion pedicure, a radiance boosting facial or an anti-ageing treatment course, everyone wants to look gorgeous during wedding season and you have the perfect treatment for them. Another thing to remember is that if you get a bride coming in, she might be quite stressed and will almost certainly be wondering how she’d fit Microdermabrasion into her schedule. You can reassure her that not only are MD facials extremely relaxing, there’s no downtime or recovery so she can even get them done on her lunch break if she wants. Get the word out about all the different ways MD can help on social media, and make sure you mention it to regular clients too. If they don’t have any weddings to attend themselves, they might mention it to a friend instead!